Tata Motors, Dr Reddy’s, Infosys, Sun Pharma have touched their peaks during the recent rally. BSE Sensex has, over the last four trading sessions, risen by 4.7 per cent following strong FII inflows amounting to over Rs 5,000 crore. Even as the BSE 30-share Sensex trades at a life-time high on the back of a FII buying spree, only four Sensex stocks — Tata Motors, Dr Reddys Laboratories, Infosys and Sun Pharmaceuticals Industries — have touched their peaks during the recent market rally. Apart from these, two stocks —Wipro and GAIL — have touched their 52-week highs in the last month. As many as 13 Sensex stocks are still more than 30% away from their all-time highs. 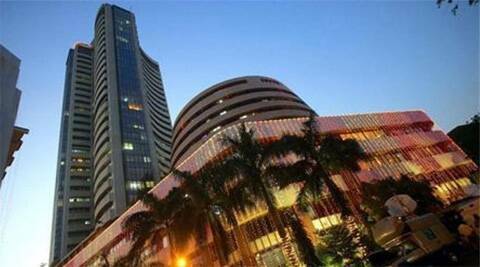 The 30-share Sensex is currently trading above its long-term average at 16.3-times its one-year forward earnings, but experts feel this is an ideal time for domestic investors to return to the markets. “The current conditions are extremely conducive after a long time. Apart from the big political event in two months, corporate earnings are more important. Throughout the slowdown, there has not been a single year of decline in earnings. The currency is also not overvalued anymore,” said Ramdeo Agrawal, joint MD, Motilal Oswal Financial Services. Domestic institutional investors (DIIs) have bought $11.31 million worth of equities over the last month, while FIIs have bought $.12 billion worth of equities during this period. Meanwhile, the Sensex has gained 6.85%, or 1,405.94 points, over the last month. Experts feel that selling at the current levels would be a wrong move for the long term. “The majority will judge this rally as unsustainable and look to sell. That will be wrong, yet again, at least in the medium-to-long term,” said Prashan Jain, CIO, HDFC AMC. “When the returns over the past few years are poor, as is the case today (the Sensex is where it was six years ago), the same is also extrapolated and the majority either does not invest or sell at every rally as is being seen nowadays,” he added. RIL, Wipro, Coal India, Gail and Larsen & Tourbo are trading 30%-80% below their all-time highs, while Bharti Airtel, Hindalco, State Bank of India and Sesa Sterlite are trading below 90-160% below their all-time highs. Within the broader BSE 500 universe, only 54 stocks touched their all-time highs during the recent rally, while 106 scrips touched 52-week highs.